Two gases are controlled in a burner system, one is the combustible gas itself such as hydrogen, propane or methane and as a second gas oxygen or compressed air are controlled. Both gases are then blended at the burner. A switch-over valve is often used at the inlet of the loop of the combustible gas. This is used to purge the tube before ignition of the flame and to blow off the flame at the end of the process with an inert gas. To avoid a flash-back a flame arrester is used at the burner. Ignition of the flame is done with an automatic flame controller or directly by the control system of the system itself. 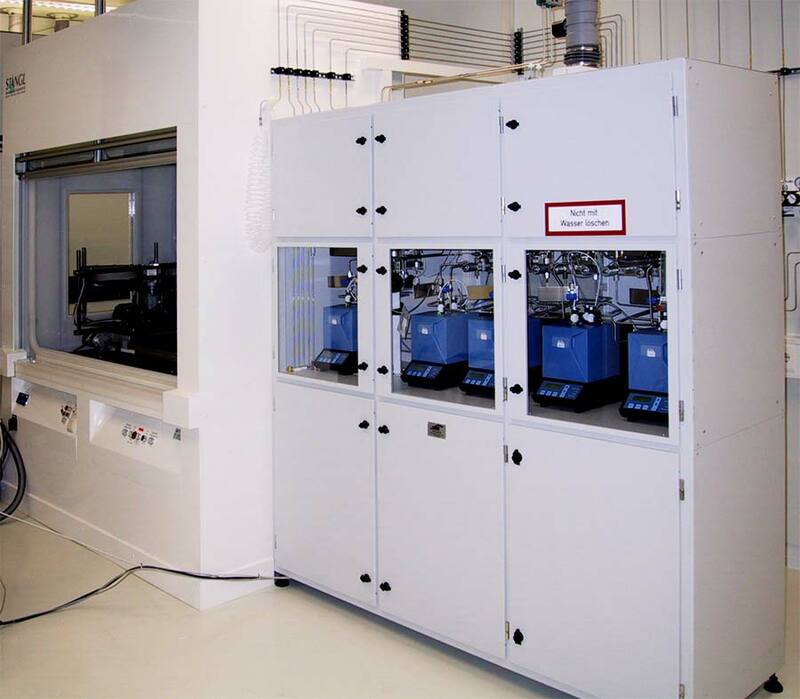 For the noncontact monitoring of the flame a sensing electrode or a flame sensor is used. E.g. for a hydrogen flame a UV-sensor will be used. 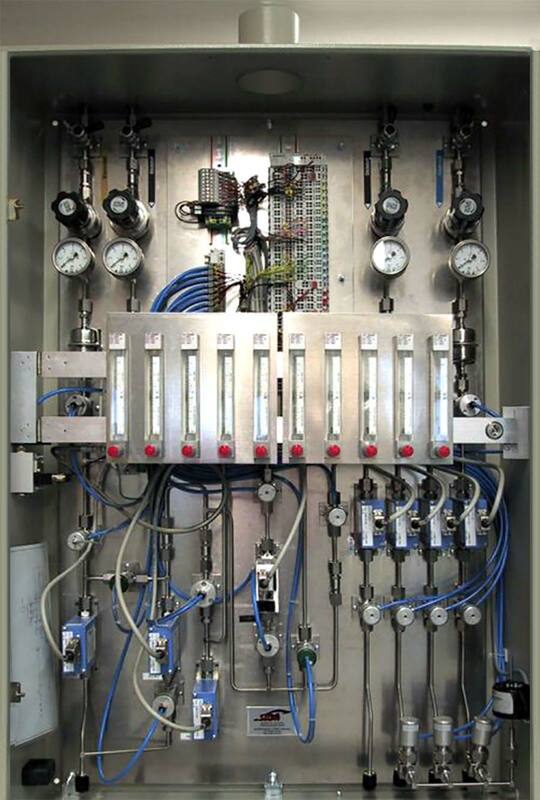 Mass flow controller, MFCs, mass flow meters with integrated control valve, are used for the flow control of the gases. Conversion factors are applied if different gases are used on the same MFC. Flow rate and blending ratio are continuously adjustable. 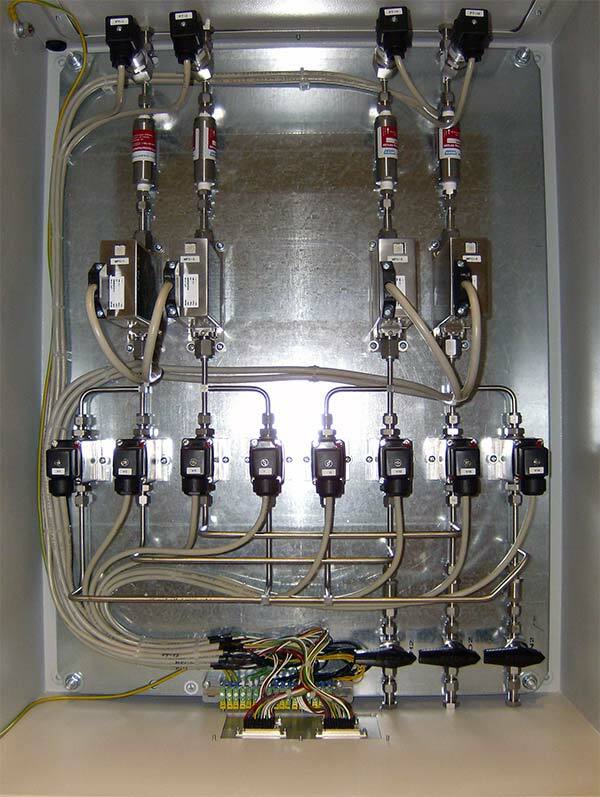 Other main components of the system are valves, solenoid or pneumatically operated ,pressure regulators, pressure gauges, check valves, etc. List of components to be amended as required by the application. Stainless steel tubes are used to connect the components, SS316/316L - material nr. 1.4404 or 1.443- inner surface roughness 0,4 μm. Tube connections are orbital welded or fitted with compression or face seal fittings. Due to the used components the systems are technically permanently leak tight. To increase safety the system is equipped with a gas detection system when required. 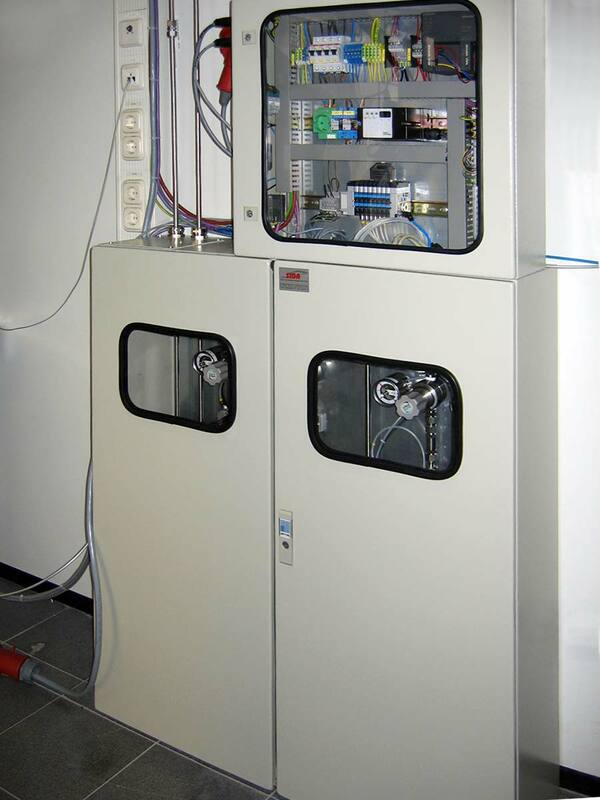 The systems are built into a powder coated steel enclosure. At some applications it is preferable to mount the components just on a panel for easier integration into the application. 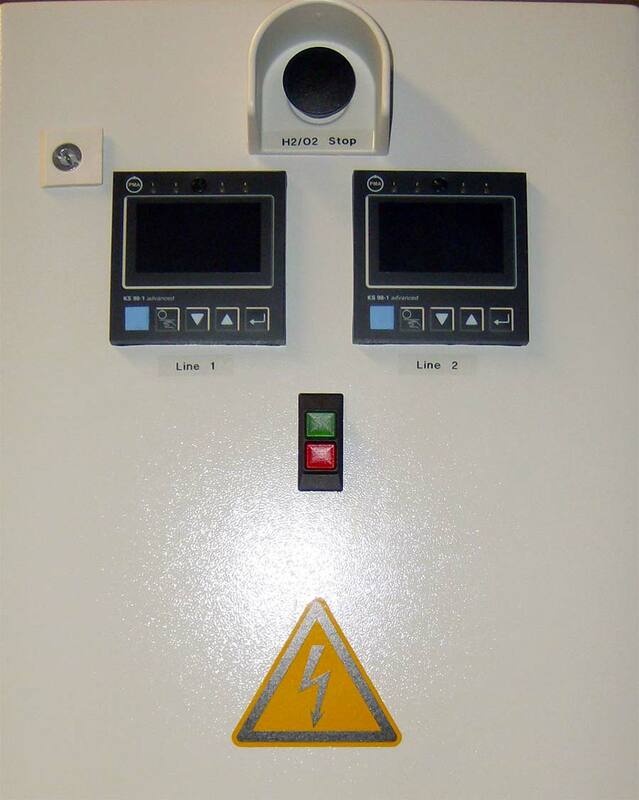 For system control SIGA offers programmable controllers with a touch screen for visualisation and operator interaction. 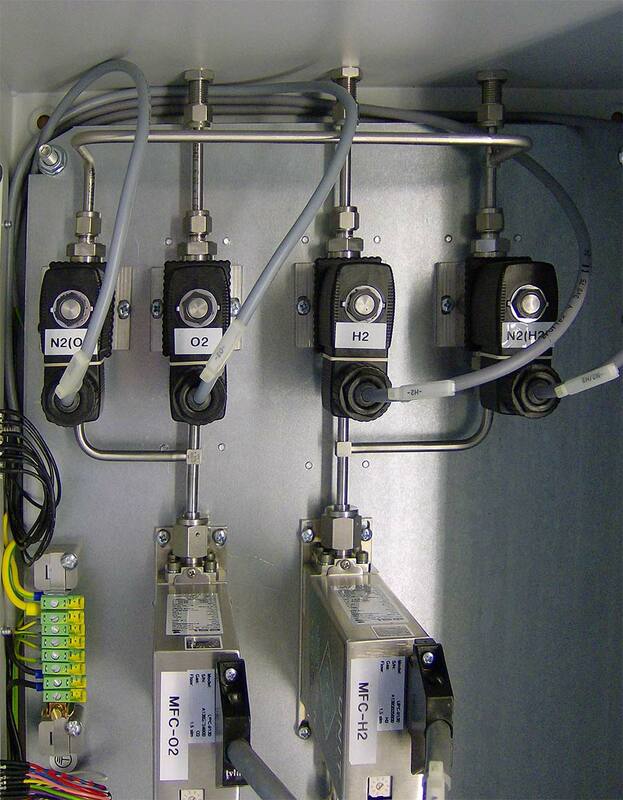 As an alternative all signals can be wired to a bus coupler with Profibus DP or another serial interface for communication with system's upstream controller. As another option all signals can also be wired to a terminal strip or a connector for connection with the system's controller.